Sycamore takes on Vernon Hills during their IHSA Class 5A football semifinal game on Saturday, Nov. 19, 2016 at Sycamore High School in Sycamore. Sycamore lost 21-16. 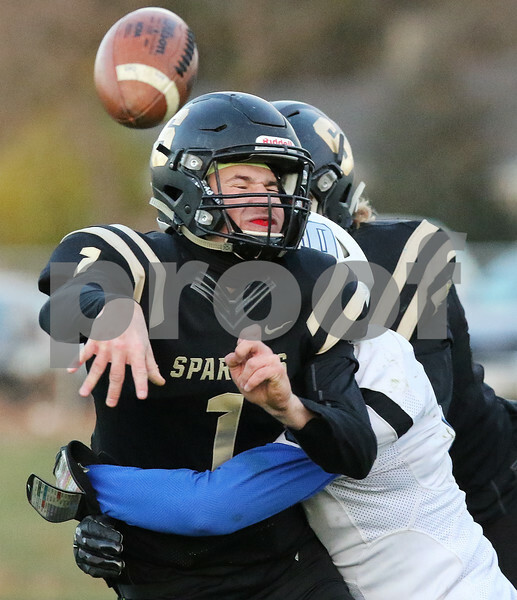 Sycamore quarterback Ty Sulaver takes a hit from Kyle Fasbinder of Vernon Hills during their IHSA Class 5A football semifinal game on Saturday, Nov. 19, 2016 at Sycamore High School in Sycamore. Sycamore lost 21-16.